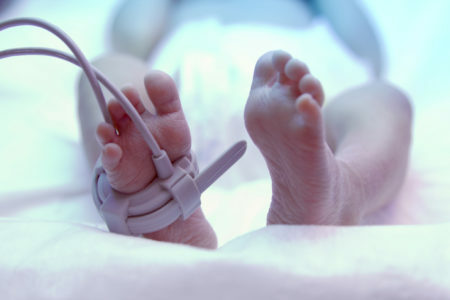 Lack of oxygen to the brain at birth affects almost 200 babies in Ireland each year and results in death or disability in over 2 million infants each year globally. The condition, known as Hypoxic Ischematic Encephalopathy (HIE), causes brain injury due to lack of oxygen and can leave newborns with permanent neurological damage or cerebral palsy. HIE can be difficult to detect in newborns; early intervention and treatment is vital to improving outcomes and reducing the impact and severity of the brain damage. Researchers at Ireland’s dedicated fetal and neonatal research centre, INFANT Centre at University College Cork have identified two biochemical signals that can be used to aid the detection of birth-related brain injury. These blood biomarkers found in the umbilical cord could provide an early detection system for HIE in newborns. Early intervention in neonatal brain injury is critical so that the successful brain cooling therapy can be initiated immediately to reduce brain injury and improve outcomes. The findings published this month in the Journal of the American Medical Association (JAMA) Neurology, validated the involvement of two microRNAs in HIE. microRNAS are small strands of genetic code that can control gene expression and protein production in the cell. They are found throughout the body, and INFANT researchers have found them to be abundant in umbilical cord blood, and significantly decreased in newborns with HIE. They may provide the first clue that significant injury has occurred and help doctors to decide which infants to transfer to a cooling centre for treatment. 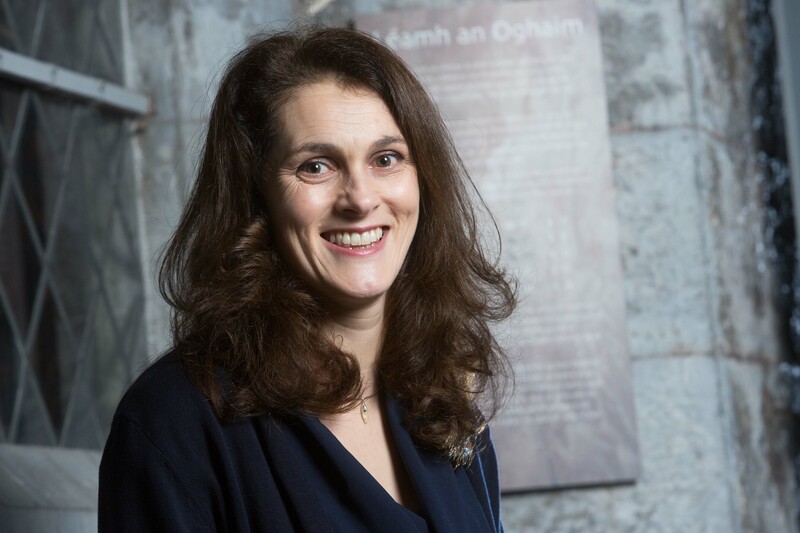 Dr Deirdre Murray, Senior Lecturer Paediatrics & Child Health UCC from INFANT pictured in UCC as the fifth anniversary of the Cork BASELINE Birth Cohort Study – which was the first birth cohort study undertaken in Ireland – is celebrated. Principal Investigator at INFANT and UCC Professor Deirdre Murray has led this breakthrough research in the area of HIE and perinatal asphyxia, published in the JAMA recently (28 December 2018). “The results from this initial study are very promising. In two different cohorts, across two countries we are seeing the same patterns. The next task will be automating this analysis so that it can be done rapidly at the cotside. We are still researching these microRNA to understand if the have an important role in the cascade of injury which occurs in HIE. They are tiny nuclear codes which act like passwords to control the production of proteins in the cell. Some of these proteins may have important roles. We have now been funded by the Irish Research Council to examine whether manipulating these microRNA could reduce or prevent brain injury. There is still a lot of work to be done and we look forward to progressing this important research.” said Prof. Deirdre Murray, Principal Investigator at INFANT. The study was supported by funding from the Health Research Board and the National Children’s Research Centre and is the result of almost 10 years of study in the area of early brain injury. Neonatal hypoxic-ischemic encephalopathy (HIE) remains a significant cause of neurologic disability all over the world. Identifying infants suitable for therapeutic hypothermia (brain cooling) within a narrow therapeutic time is difficult and up to now, there has been no single robust biochemical marker available to clinicians. This research has been able to identify the microRNA in the umbilical cord and this is a very important step in the early diagnosis and treatment of babies affected by lack of oxygen to the brain. Babies in Ireland have participated in the research study, which saw umbilical cord blood samples from 170 newborn babies from Ireland and Sweden being collected and analysed over a number of years.